Sometimes I like my job and sometimes I just Love it! This day was one of those days. 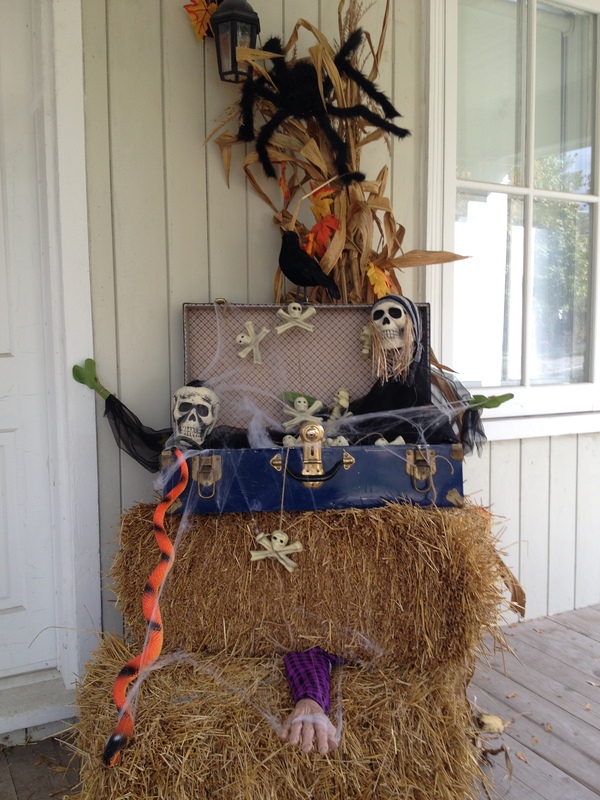 I was embarking on a Halloween porch decorating job. 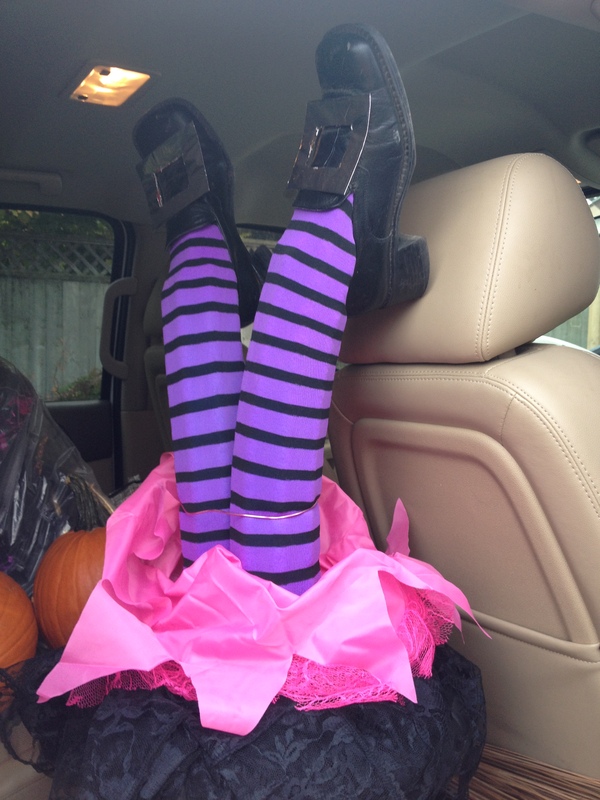 The Witches legs made from Pool noodles..I had to beg these from a friend. My shoes with made in a minute buckles! Pink frilly knickers and a lacey garment, ‘cos that’s what witches wear right? 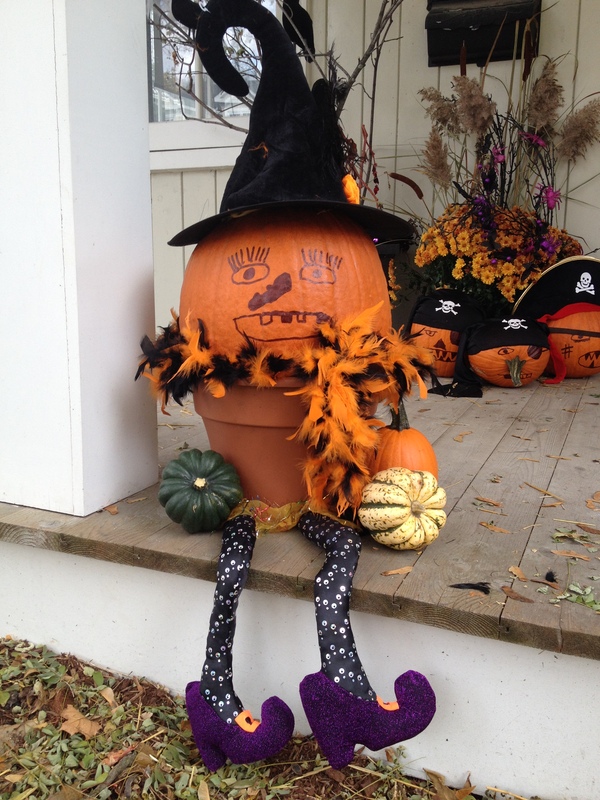 I decked out the pumpkins as Pirates and a Witch. 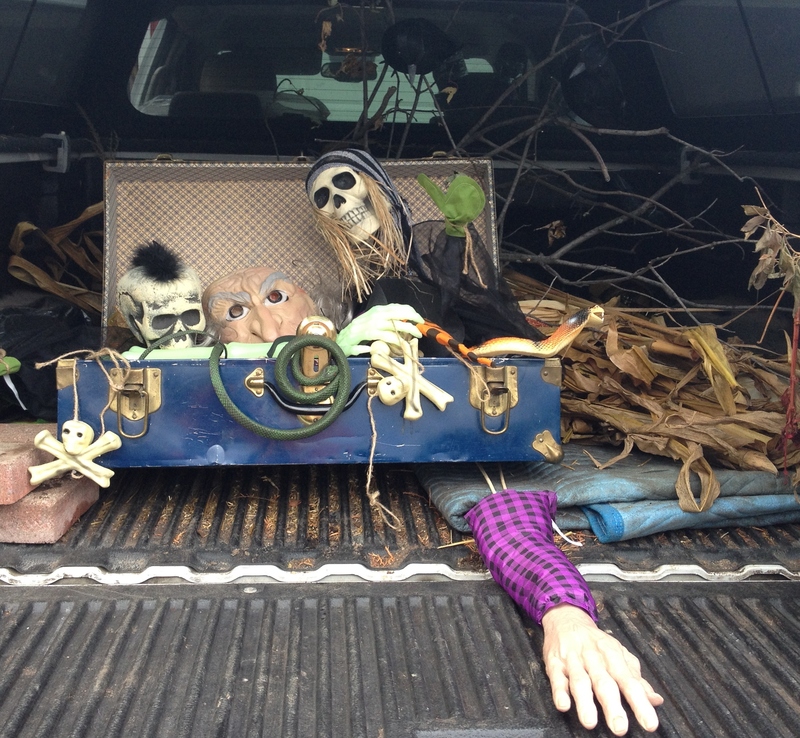 A case full of spooky! 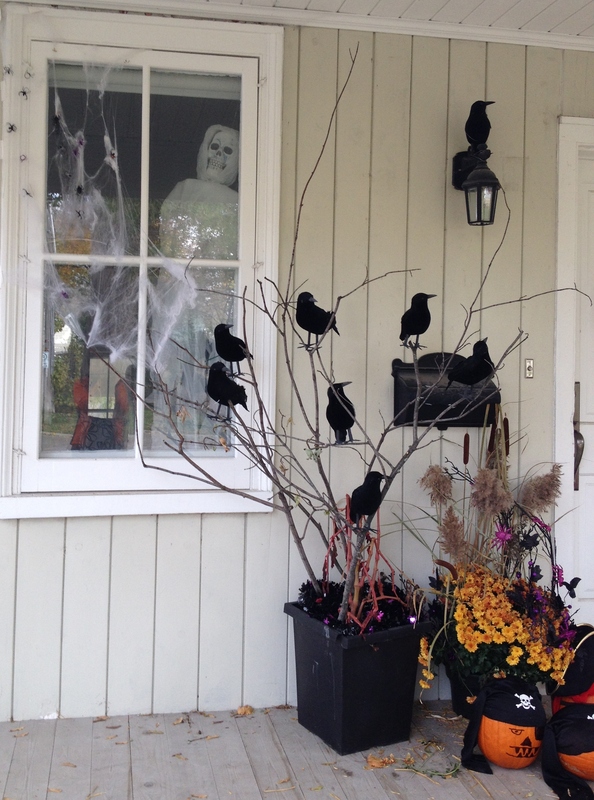 I “made” the crow tree by sticking branches into a spent summer container. The crows were made from polystyrene so were easy to wire into place. 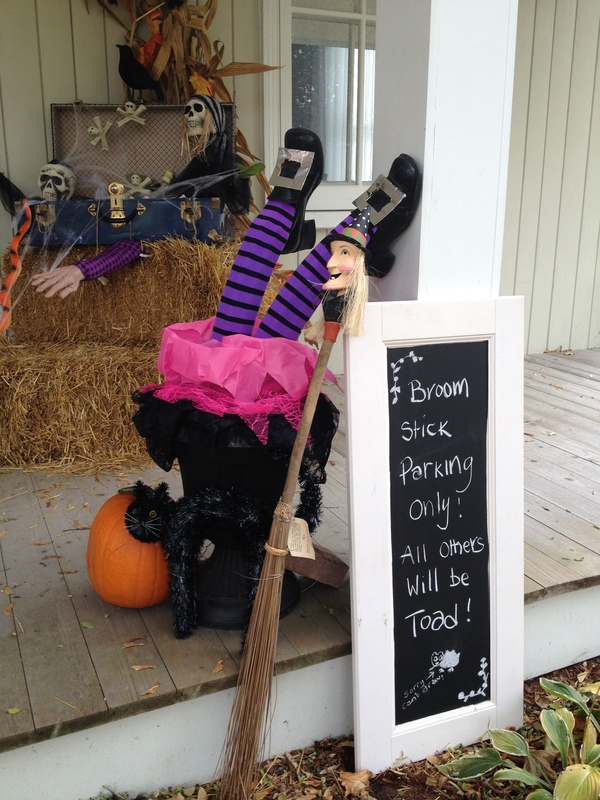 Then I added little spiders creeping about all over…the ghost in the window was a resident ghoul! I know with most of my posts I am behind with writing about it…one day I will get better at it. But hopefully these tips are ones that you can use year after year. Initially, I thought they were your legs. Linda in the van taking a nap😀😀😀😀.